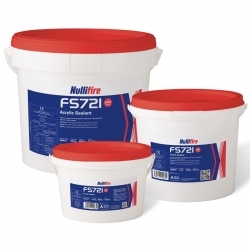 Nullifire FS721 Trowel Grade Acrylic Sealant is a single part waterborne fire resistant acrylic sealant. FS721 sealant can provide up to 4 hours fire resistance when used in conjunction with Nullifire FS747 Coated Board System. 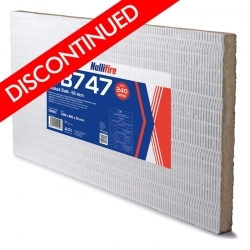 We no longer stock this product, but can recommend Nullifire FB750 Coated Batt as a great alternative. Nullifire FR270 High Strength Structural Compound is a single part gypsum-based compound providing up to 4 hours fire resistance. Nullifire FR270 has been fire resistance tested in accordance with EN 1366-3, ETAG 026 and Classification 13501:2. Nullifire FB805 Fire Curtain is lightweight, flexible fire curtain which provides a barrier to smoke and flames. 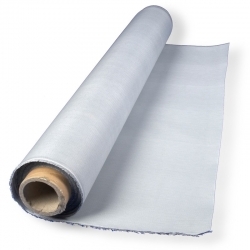 It consists of a specially coated glass fabric material.This is stretched between perimeter fixings and staple jointed for maximum effectiveness. 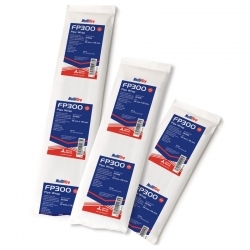 FB805 is suitable for up to 30 minutes fire resistance - refer to performance table. Nullifire FF197 Gun Grade Fire Rated PU Foam is a modified, single component, fire rated polyurethane foam, used to seal linear gaps throughout the fire rated areas of a building. 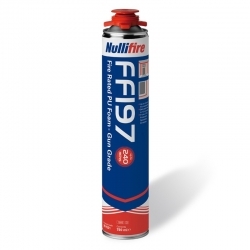 Nullifire FS701 Waterborne Intumescent Acrylic Sealant is a one-part fire resistant joint sealant and can achieve up to 4 hours joint fire resistance tested in accordance with EN 1366-3, EN 1366-4 and ETAG 026. Nullifire FS705 Intumescent Sealant is a graphite based product which when exposed to fire expands protecting penetrations including cables, cable bunches, cable trays, plastic and metallic pipes. FS705 maintains the integrity and insulation performance of the seal through masonry and plasterboard. 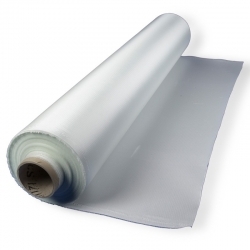 Nullifire FJ200 Flexible Intumescent Gap Seal is elastomeric foam laminated with a graphite based intumescent compound on both sides. 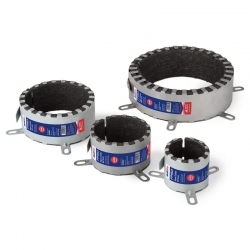 It is designed to perform as a 2 hour barrier in construction movement joints, when tested to EN 1366-4 and BS476. Nullifire FP300 Intumescent Pipe Wrap is a simple to use self-adhesive intumescent pipe wrap used for sealing plastic and composite pipe penetrations.